This is a simple recipe that goes with just about anything. Roasting the vegetables adds such great flavor and color. Feel free to change up the vegetable mixture to use what you have. In a small bowl mix the balsamic vinegar, olive oil, and garlic powder. Line a baking sheet with foil and place chopped vegetables on top. Pour the vinegar mixture over the chopped vegetables, mix well. Roast in a 475 degree oven for 30 minutes. Stirring twice. 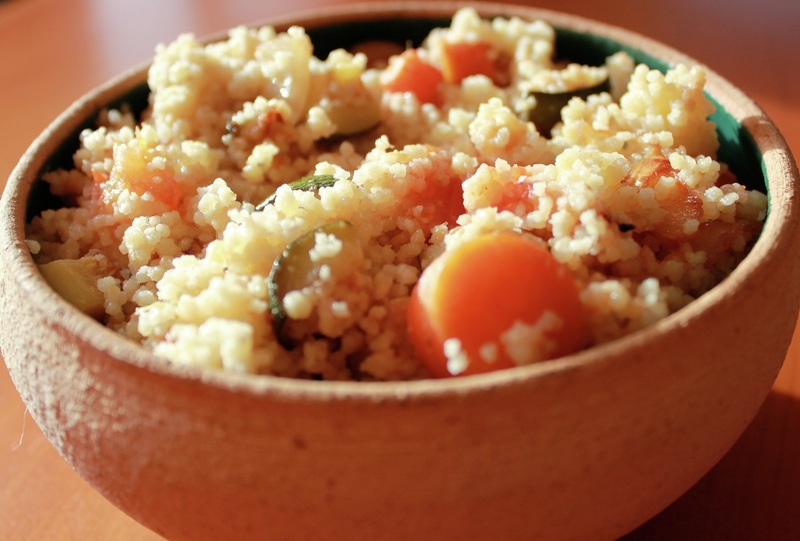 When vegetables are almost done, pour couscous and water in a microwave safe bowl. Microwave on high for 3-1/2 minutes. Fluff the couscous with a fork. Add roasted vegetables to cooked couscous, mix well before serving.